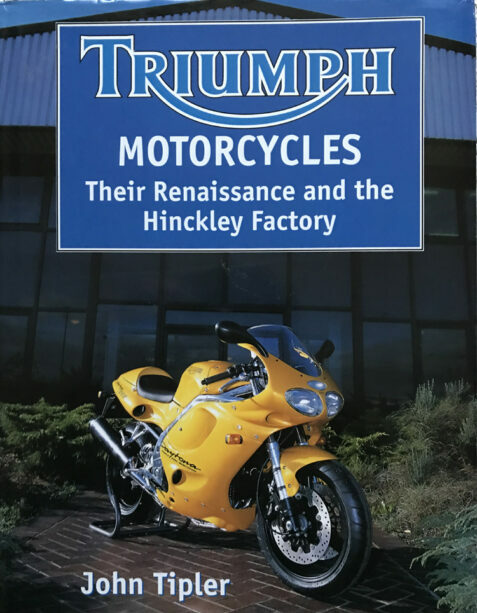 The book tells the story of the Triumph motorcycle, the legendary and much-loved British motorcycle marque, and it’s fluctuating fortunes over the years, in particular it’s re-birth at the Hinkley Factory. It is fully illustrated throughout and includes full specifications for all models, details of manufacture and road tests, with a review of the Triumph Triple Speed Challenge races. The dust wrapper is in very good condition, clean and bright, with slight bumping and light rubbing to the extremities.